You are here: Home / online shopping / Flirty Aprons BOGO free sale! Here’s a fun gift idea for Mother’s Day! Check out this Flirty Aprons BOGO free sale! 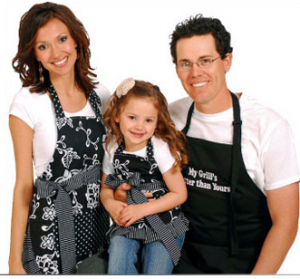 Buy a woman’s apron, get a girl’s apron for FREE! There are lots of cute patterns to choose from! My daughter loves to help out in the kitchen and would love something like this! Our Flirty Aprons are just what today’s Chic Fashionista is looking for! 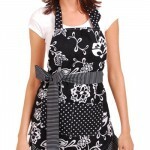 With a classy, yet sassy design, these aprons are flattering for any figure. Our Sadie style aprons have a durable thick fabric that will be perfect for any chore from baking, to gardening, to crafting. It doesn’t matter what you’re wearing underneath, because when you throw on one of our Sadie style aprons, you’ve taken your look to the next level! Enter the code FLIRTYBOGO at check-out to take advantage of this promotion! Flirty Aprons: 30% off Flash Sale + FREE SHIPPING! Flirty Aprons – 40% of + free shipping! 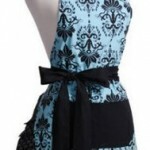 Flirty Aprons Aqua Damask Apron just $9.99 shipped! 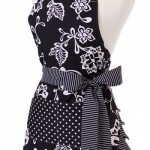 Flirty Aprons Sassy Black apron only $9.95! 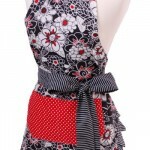 Flirty Aprons Flash Sale: Save 50% off scarlet blossom apron! Flirty Aprons sale: prices start at $4.95!